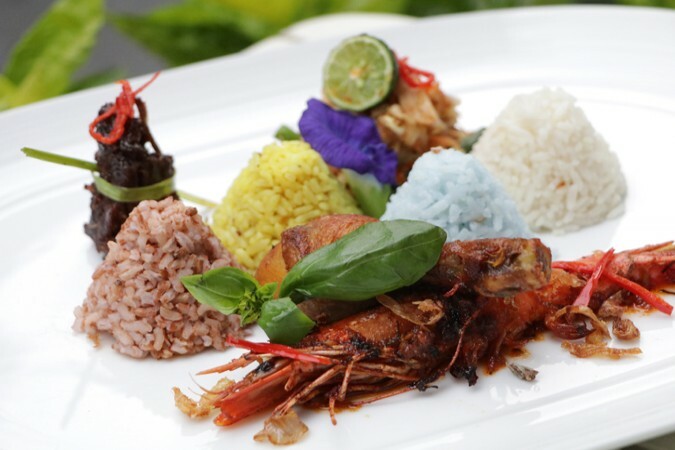 The light, airy and very spacious Saffron Restaurant is the all-day and main dining venue at Four Points by Sheraton Bandung and a place where many guests are sure to enjoy its photogenic neo-colonial design influences as much as its appetizing dishes. 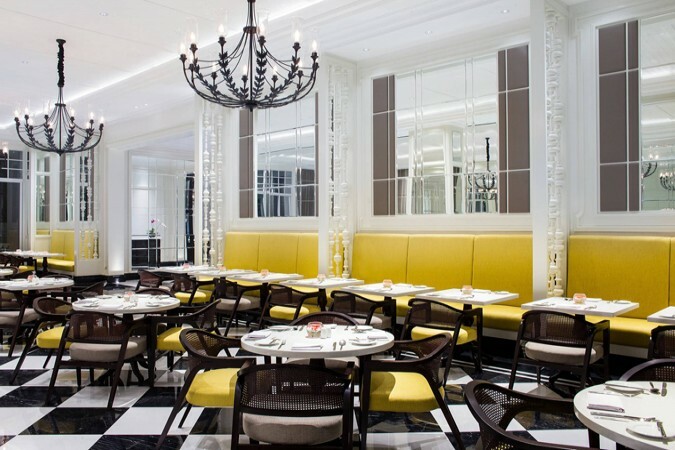 The internal dining area features a high ceiling adorned with retro chandeliers that contrast wonderfully with the light hues of the décor and black and white tiled floor. The comfortable indoor seating is a terrace style with dark woods, rattan and yellow highlights, whilst the outside terrace has classic patio furniture. 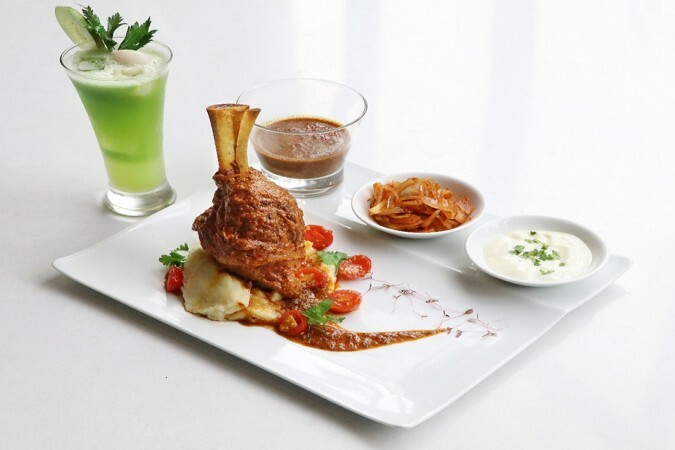 With an international buffet complemented by live cooking stations, guests can enjoy dishes like the signature lamb shank, a selection of freshly prepared pastas and a host of other favourites in an elegant setting.